Our Generation Dolls, Horses, and accessories are really hot toys right now. My daughter and her friends love playing with them and have collected quite a few. 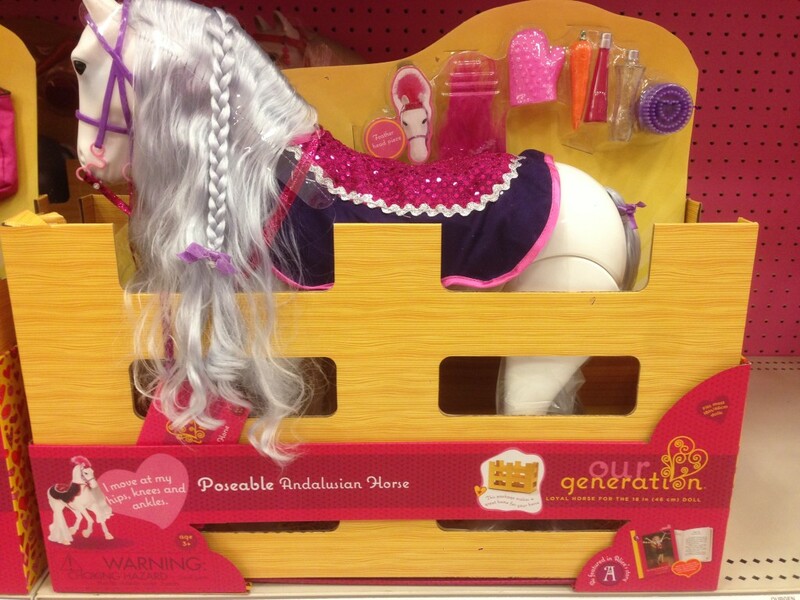 Pictured above is the Our Generation Poseable Andalusian Horse, which is a big hit with the kids. It comes with some accessories to keep the horse looking beautiful. The horse can move around at her hips, knees and ankles.